At the prestigious Grand Prix d’Horlogerie in Geneva, TAG Heuer won an award in the “Revival” category for its reissue of the iconic Heuer Monza chronograph. Time to look back at this emblematic design, which is celebrating its 40th anniversary this year. The award distinguishes the reissue of a model which belongs to the heritage of the manufacture, whose inspiration closely evokes the spirit of the original. Always highly sought-after by collectors, the Heuer Monza came into being in 1976 when Jack Heuer, the great grandson of the founder, designed a chronograph to celebrate Niki Lauda’s first Formula 1 world championship title with Ferrari. 2016 marks the House’s return to the origins of the watch, since today’s model features two key functions – the pulsometer and the tachymeter scale – which were not included on previous reissues. The original font, and the red hands and counters, reflect the watch’s racing heritage, while positioning it firmly as a new, contemporary design. TAG Heuer has revived the famous coussin case and the black and white lacquered hands, which are identical to the original. In a key difference, the case of the new model is crafted from grade 5 titanium, making it lighter and more shock-resistant. The diameter of the dial has also been increased, from 39 mm to 42 mm. 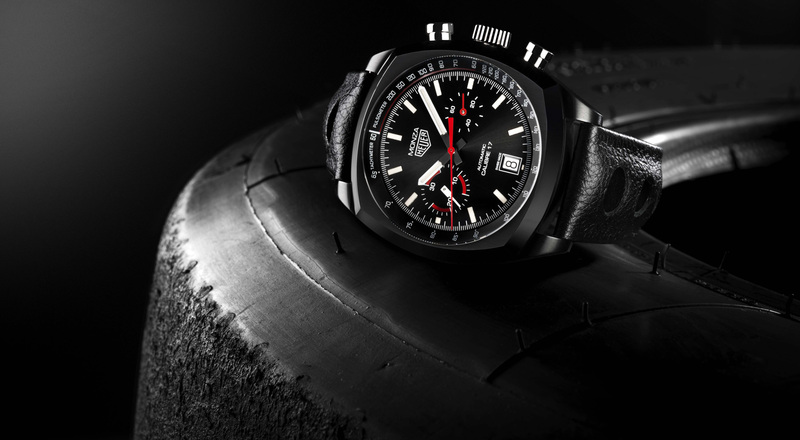 The “super-racing” strap, in full-grain black calfskin with top-stitching, evokes the three-spoke steering wheel design of racing cars of the time. 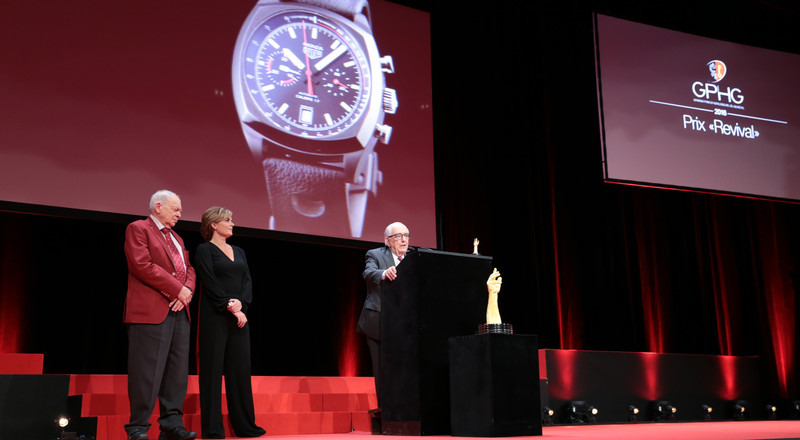 Jack Heuer, honorary chairman of TAG Heuer, who designed the original Monza, went on stage to accept the award at the request of Jean-Claude Biver, CEO of TAG Heuer and President of the Watch Division of the LVMH group.